The venturi flow meter is a standard industrial instrument for the measurement of single phase flow. It has also been applied on a number of occasions to two-phase flow, but the interpretation of the results in these cases is more complex, and the instrument has to be calibrated for the particular fluids employed and the range of parameters used. Under two-phase flow conditions the fluids may be moving at different velocities and in developing theoretical models a momentum balance for the two phases has to be used to replace the Bernoulli equation. Since 1992 the R&D group has experienced with Venturis applied to multiphase flows. 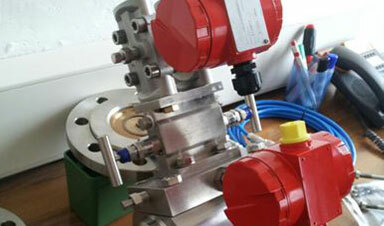 Laboratory tests at “Sapienza” University of Rome have been carried out on the flow loop with a 2″ Venturi. The know-how has been applied in the THERMIE Project (1995-1998) to develop a Multiphase Flow Meter (MFM) and demonstrate its efficiency. The tests of the prototype have been done in the Labs of ENEA Casaccia and in the field loop of Trecate owned by Eni. Further developments have been carried out to implement innovative algorythms in order to improve the classical models measurements. 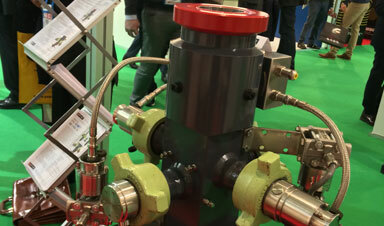 From the mature experience in MFM an application of the Venturi in metering mud flowrate has been developed. The Venturi design has been adapted to the special application. After fluidynamic sumilation the prototype has been tested in Lab and in real scale experiment. The collaboration with Valcom has allowed to develop the prototype and to obtain a Mud Flow Meter (MFM) working in single and multiphase flow. 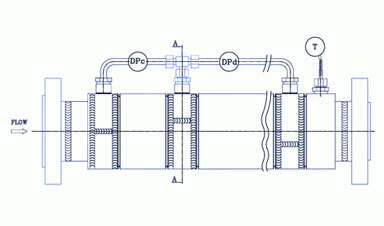 The wedge meter is the less known pressure differential device used in flow metering. Following the idea to have sort of insert into the flow, the project develop an innovative wedge meter for multifluid and multiphase flow applications. A new design has been developed to reduce size and to host new instrumentation.